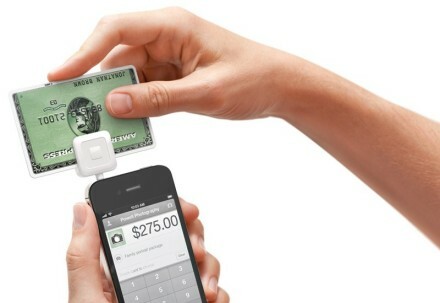 Is Your Business Wired Into Mobile Payments? If a stranger asked you to name the three best things about your small business, would offering customers mobile payments be one of them? In all likelihood, there is a good chance you are still on the outside looking in when it comes to mobile payments, but don’t fret just yet, there are many others out there like you. While a number of forecasts say mobile payments will continue to grow in the coming years, a sizable portion of small business owners have yet to jump on the bandwagon, waiting to see where the trend goes. Even if you have yet to offer mobile payments for your customers, the data indicates that you will probably will sooner rather than later. In 2011, Google surveyed a wide range of consumers to nail down the means in which the consumers were presently using smartphones and mobile devices in the retail world. Of those surveyed, 79 percent indicated they actively used their smartphones when shopping, with 70 percent of the phone use taking place within the actual brick and mortar store. Also, 54 percent of those surveyed used their phone to find retailers. Nearly half of shoppers (44 percent) used their mobile device for reading product reviews on site prior to actually making their purchase, while 74 percent of consumers remarked that they made their purchases as a result of reviews, social media forums, and comments sections they could access via their phone. With such numbers, some small business owners may wonder how those figures translate into actual dollars and cents. According to a report from Renub Research, the amount of mobile payment subscribers around the globe came in at approximately 2 billion as recently as 2011. Meantime, the total value of the mobile payment market is projected to surpass US$ 500 Billion by 2014. North America and Asia are expected to become the most important markets; together both of them responsible for more than 60% of the full market share and 80% of mobile payment users. So, should your small business be looking into mobile payments, ramping up the program if you already offer it, or just sitting back on the sidelines to see where things go over the next year or two. Objective thinking is that you don’t want to be late to the party, though you should still research the industry, seeing what works best for your company. 3. Options aplenty – Finally, search for a provider who offers you a number of options, that is without jacking up the price. Some of the options you could be desiring include printing out receipts to give to your customer upon a purchase, having real-time tracking sales along with immediate crediting for your account. Maybe you want a free app and reader, along with the ability to connect each of your transactions with the software you have in place to manage your business? Whatever options you desire, check to see which provider can offer them at the best price. In the event 2013 is the year you’ll make your small business become more mobile, you may find yourself increasing your customer list, while at the same time dialing-in to a better return on investment. With 23 years’ writing experience, Dave Thomas covers a variety of small business topics, includinghow to find the right wireless credit card machine.